Hope Juliasdailytips readers are doing great, I am so grateful for having you guys and also for your contributions in the comment section, thank you guys. Will love to discuss about low metabolism and how to rectify it. One of reasons why some folks struggle with weight issues, might just be because, they have low metabolism. I have slow or low metabolism, and I have been struggling with loosing some weight, and I tell you it’s a long process that desire patience and persistence but there are also ways to speed up the metabolic rate of our body system which has worked for me. 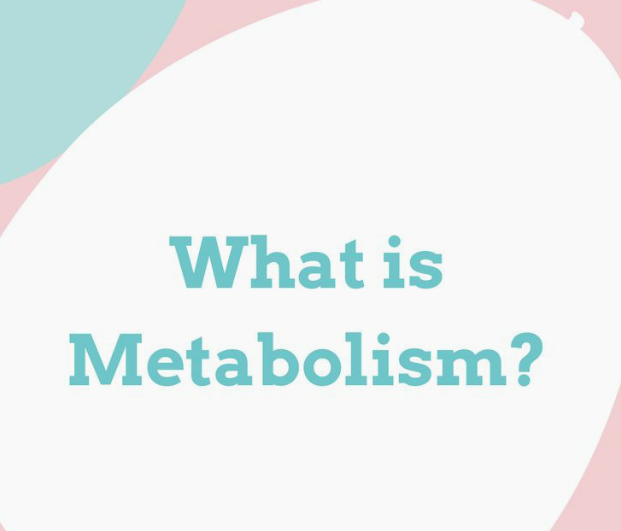 Metabolism can be defined as a process of how calories are burned off by our body, which in turn refer to how much energy that is been used up. When you your body burns calorie fast, it signifies the rate of how much weight you loose. So if you workout, have a healthy eating habits but you are not loosing any pound. Then probably low metabolism is the culprit. There are a few sickness that can cause some folks to loose or gain weight, mostly thyriod. Often times age might also play a role in low metabolism, when your body system functions in a slow rate, then you will find it difficult cutting off calories and some pounds. This is mostly the reson Why people with low metabolism feel fatigue, are sluggish and often times have joint pains. Another reason why one experience low metabolism is the body blood circulation, if your blood don’t circulate well, it can stall the process of burning energy. Depression also slows your metabolic rate, when your are moody your body slows down as well. ■ Green Tea – Studies have shown that Green Tea can help boost fat burning. Green Tea helps with weight loss, improves digestion, lowers blood sugar level, lowers cholesterol, etc. Green Tea breaks down the fat with the help of the cells which moves through the bloodstream. Green Tea contains about 24g-40g of caffeine in 1 cup and caffeine is a stimulant. So it helps to stimulate the body functions of energy used up. Green Tea is also loaded with antioxidants too, which help boost the metabolism. ■ Chilli Peppers – This hot pepper derives its heat from oily chemical compound called Capsaicin and it is located in the membranes which surrounds the peppers seed. To make sure that you shed extra pounds with Chilli Pepper, you will have to watch out what you eat by cutting down calories. ■ Whole Grains – It takes our body alot of time and extra work to break down whole grains than processed foods. It will be good to keep your metabolic rate high by eating grains rich in fiber that will make our body work harder to digest. Examples are oatmeal, quinoa, brown rice, etc. ■ Raw Garlic – A research has shown that eating raw garlic speed up the metabolism rate by supporting blood sugar break-down with the help of control lipids levels in the blood. Eating raw garlic also ward off heart disease, lowers blood pressure, fights inflammation and boost the immune system. ■ Drink Lots Of Water – Drinking up more water helps to increase the rate which we burn calories. Drinking up 1.5 liters of water daily helps to increase our metabolic rate. If you do this consistently for a year not only will you have a high metabolism you will be free of toxins and radicals in your body system. You will also need to have 8 hours sleep daily, because our body burns calories while we are asleep. Have any input? Use the comment section…..